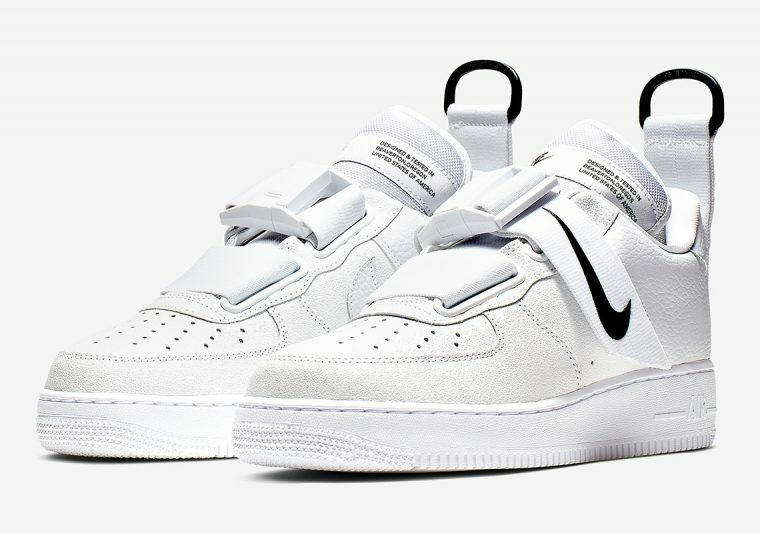 The Air Force 1 Utility Platinum White marks yet another colourway for the winter ready silhouette. Following on from the Carhartt x Nike Air Force 1 Low Utility Camo Green of 2018 and the Nike Air Force 1 Low Utility White Black, the Swoosh brand is back. This time, it’s white all round. The utilitarian inspired heavy duty silhouette is drenched in a Platinum White, with only small accents of black for contrast. The upper is formed from a premium textured leather with the Air Force 1’s signature toebox perforations, stitching, and layering details. The utilitarian work vibes continue with the Chunky black D-ring on an extra long heel label. 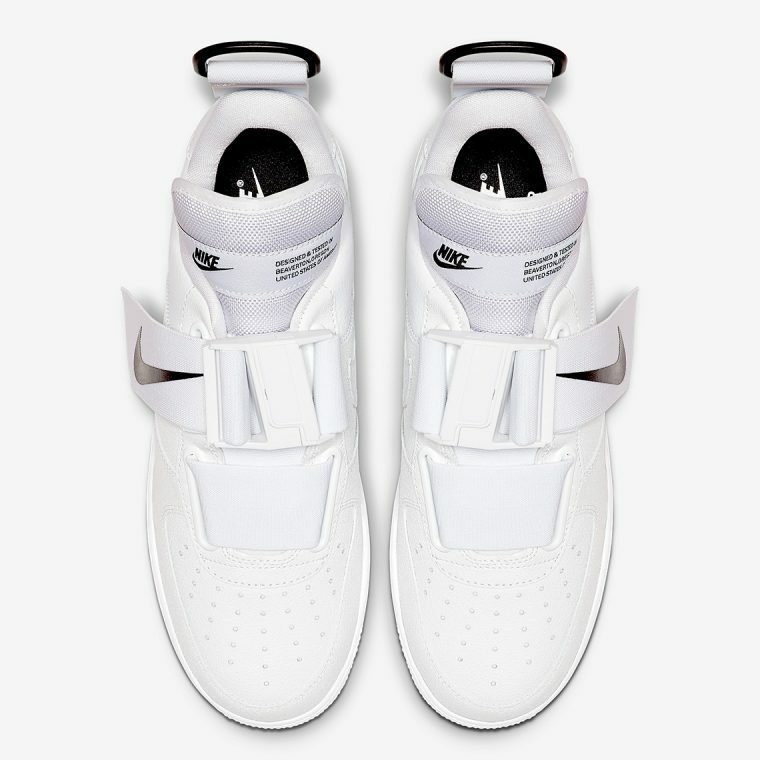 As usual with the AF-1 Utilities, they swap out the typical lacing detail for two thick elasticated straps – one of which has a slide clasp closure and a hanging strap featuring a standing up Swoosh. More branding is visible on the tongue label, which notes that the silhouette was designed and tested in Nike’s hometown of Beaverton. 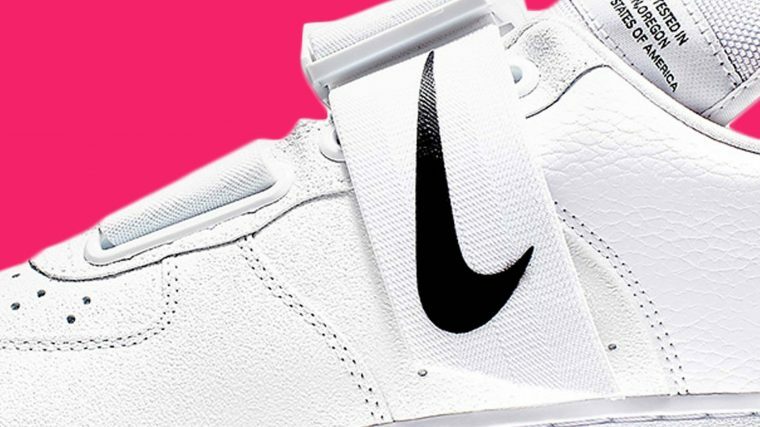 Underfoot, there’s the classic AF-1 midsole, again in a crisp minimalist white. Style with stripped back block colours and let the pure white of these trainers do the talking. 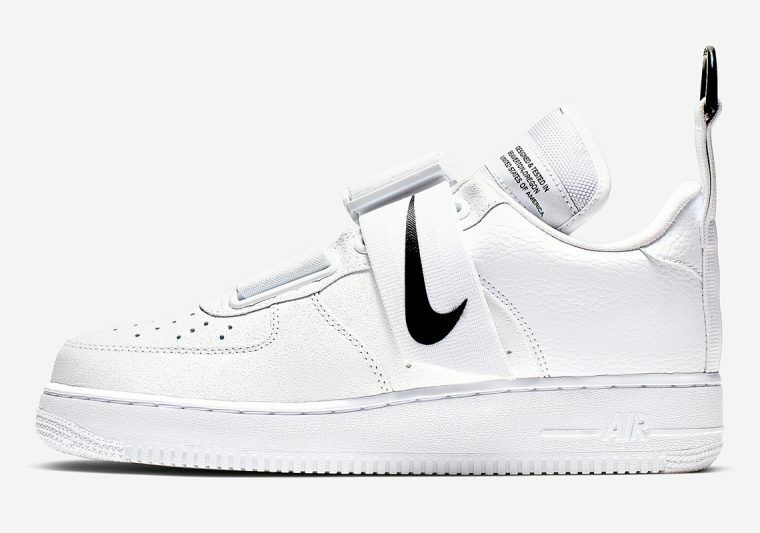 The Nike Air Force 1 Utility Platinum White will be available to purchase soon from 4einhalb at some point in February, so keep it locked to The Sole Womens for updates on when they drop!